I hope you all enjoyed my debut for Women’s Sports UK (WSUK) last week. I certainly enjoyed writing it. Since then we’ve had the start of the Women’s Ashes. Pretty much like the men’s, all went well to begin with. I don’t know how many times I’ve said it, but it goes for both the men’s and women’s, that you’ve got to make the most of the Australians when they’ve only just arrived. And we did. The first one-day went completely to plan from England’s point of view as they won by 4 wickets at Taunton. However, it doesn’t take long for the Aussies to acclimatise and in the second and third one-days England were outplayed and out-thought, losing the second by 63 runs and the third by 89. I’m afraid there were some glaring issues in the latter two games that will have to be tackled before the 3 Twenty20 games at the end of August and beginning of September. I don’t have concerns about the test match – it’s the short form we’re lacking in. Let’s state now that I adore Charlotte Edwards to the point of hero-worship. But I am not blind to her faults. Very much like Alastair Cook, she is a creature of habit. She has her plans – and they are good plans – but is reluctant to deviate if they don’t work. Katherine Brunt and Anya Shrubsole opening the bowling – 5 overs each. No questions. No messing. No change. It didn’t bring a wicket in the second game so, guess what, let’s do it all again in the third! At the risk of sounding like Geoffrey Boycott (put me down now) if plan A doesn’t work you’ve got to have a plan B, then a plan C etc. I’m afraid she didn’t look like she even had a B. I don’t know what the answer is to that, she’s been captain for over 200 internationals now and I’m not the person to tell her she’s doing it wrong! All I’m saying is that there’s got to be more flexibility as games very rarely go completely to plan. Secondly, and I really do feel I’m attacking the twin pillars of English women’s cricket, someone needs to get hold of Sarah Taylor and tell her 30 is not enough. So many times she gets a start but doesn’t carry through. Dan Norcross made exactly the same point in the TMS commentary yesterday. He’s someone else I rarely agree with, but on this occasion I found myself nodding along. She’s one of the best batters in the world so it’s about time she acted like it. In the meantime Meg Lanning, Elyse Perry, et al, go past England without pausing for breath. Enough of this carping. On the positive front, the coverage of the Ashes has been brilliant so far. There’s so much discussion out there about the game and its future and it’s not just comparing it unfavourably to the men’s game. In fact you know you’ve made it when they’re starting to talk about it in the Daily Telegraph. Excellent piece today by Jonathan Liew on Meg Lanning and her place in women’s cricketing history. I’m going to be in Canterbury for the test match so expect plenty of comment! Yesterday I sat in the freezing cold for seven hours at the John Fretwell Sporting Complex, home of Welbeck CC, but also home to Nottinghamshire Ladies CCC. This was, however, all in a good cause! This week I make my debut (or dayboo as Jim Maxwell would call it) for the fabulous Women’s Sports UK site. I have just written up the Notts v Yorks match report and it will be published shortly. As usual, stunning photographs supplied by my husband, Michael Hopkins. It’s a great site and am looking forward to doing more for them. At the moment I’m scheduled to cover Warks v Berks on 30th August plus hopefully they’re going to let me loose on some football and netball too! Along with many others I became politicised at university in the People’s Republic of Sheffield. The group I fell in with were far more politically advanced than I was and I would like to thank them all for awakening my social conscience. Growing up in Thatcher’s Britain (Yes, I’ve just dated myself there) one couldn’t help but get involved – and I did – with a passion. Anti-Apartheid, Amnesty International, campaigning against Pinochet in Chile, Cambodia/Kampuchea, we did it all. Then there were the domestic issues; poll tax, student loans (won one, lost one). I was just off Westminster Bridge when the mounted police charged. “Education is a right, not a privilege”, etc. And so, a lot older, but not necessarily wiser, I’m still passionate about social justice, inequality, women’s rights and the gap between rich and poor. Perhaps I don’t demonstrate as I once did, but I write, I tweet and still get angry. So where does women’s sport come into all this? You can’t compare the campaign for the promotion of women’s sport to protesting against the iniquitous regime in South Africa. So what if you can’t see women’s sport on television, you’ve not “disappeared” under the rule of a ruthless dictator in Latin America. But I don’t think that’s the point. The “struggle” to get women’s sport the recognition and coverage it deserves is a battle and part of a larger battle for women’s equality. I’m not fooling myself we will achieve this in my lifetime, but for as long as I can I will be doing my bit, and at the moment my focus is on the fight for the right of every girl and woman, at whatever level, from fun to grassroots to elite performance to have access to play, officiate, administrate or just watch any sport she wants to. And there are, undoubtedly, incredibly hideous aspects to this fight – Sri Lankan and Pakistani cricketers being abused by their coaches, women having to undergo regular and demeaning gender-testing and women in the Middle East unable even to enter sports stadia; it’s not all about the lack of media coverage. Four years ago, when I started writing about this, I felt I was in the vanguard. I wasn’t sure how many people were reading me, but it felt good to be doing it. Now it’s the buzzword, the hot topic and I feel a little bit rueful that I’m still saying the same stuff. Don’t get me wrong, I still love writing about sport – be it straightforward match reports or tournament previews or searing indictments of sexism, misogyny or inequality. But now everyone’s saying it I feel I should be doing more – back to the demonstrating perhaps? No, there’s no demonstrating to be done, but I would also like to be more practically involved. Words are powerful weapons and they’re what I do best, but let me get my administrative head on or utilising my organising skills and watch me go. Anyone need any help? Let me know! In the meantime, I’ll keep writing, publicising and making my point in the best way I know how. England lose, but give us heart to go on. In the immortal words of the Guardian Saturday quiz, what links: Mark Steel, Sam West, Tom Goodman-Hill, Jane Garvey, Saddiq Khan MP, me and my friend Jim? Give up? We were all up in the small hours watching England versus Japan in the semi-final of the Women’s World Cup – not together, I hasten to add (Obviously there were more than this, but these are just a few famous names I picked up on). We were all watching it on BBC1. We were all getting ready for 30 minutes of extra time. We were all gutted when Laura Bassett scored that own goal in the last minute of injury time. I’m struggling to find the words this morning. I’ve been determined to write about it, but didn’t know what to say. After a telephone conversation with said friend Jim, I am ready to give it a go. England were brilliant. They gave their hearts and souls on that pitch. They were all over Japan and should have won. I tweeted during the match that they needed to take one of the chances before Japan hit us with the sucker punch. And so it proved – in the worst way possible. Jonathan Pearce called it “the fickle finger of footballing fate”, which I think he should copyright. But what I’m most excited about is that the country is finally talking about women’s football, and in a good way. Those “No-one gives a toss about women’s football” decriers have been largely silenced and the numbers in vociferous favour have swelled beyond anything anyone could have imagined. I will never utter the words, “taking the positives from it” (and if Alastair Cook utters those words at any point during the Ashes I will scream loudly and long), but surely this is the long-awaited catalyst women’s football in this country needs. I have been writing about women’s football, its qualities, its drawbacks and, above all, its worthiness, for some time. But its not until we stop comparing it to the men’s game that we will finally make progress (I’ve written about this too). This World Cup has been inspiring; full of quality play, goals, defending and all played in a fantastic spirit. Who can fail to be inspired? So England didn’t make it to the final, and, in all probability they will get roundly beaten by Germany in the third-place play-off on Saturday. But that’s not the point. It’s bigger than that. So much bigger. There has been major investment by the FA in women’s football in recent years, but they and we can do more. We have a long way to go before we reach the infrastructure in place in Germany or France. But it’s not just the governing body which needs to work harder. And so we mention the media yet again. The BBC took a big punt on its coverage of the World Cup, which has proved to be money and time well spent (even though sometimes you could strangle Jonathan Pearce). The print media finally realised something was afoot when England reached the semis. So look to yourselves media outlets and invest in this game. Invest time, invest column inches, invest money. Get your journalists on board. Get them knowledgeable and get them promoting the game that we all love. Laura Bassett and all of the England team have been stars, ambassadors and gifted footballers over the last month. The least we can do is show them that means something to us all. 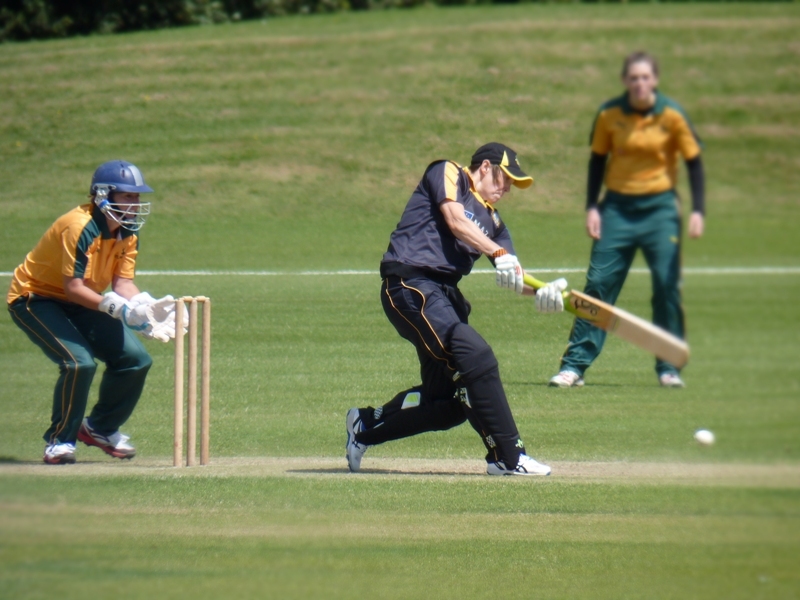 I have written a new piece for Women’s Views on News on the advent of the new Cricket Super League. Am I for it – certainly, but I’m also a bit worried about the sketchiness of the detail and just what “team hosts” means. Are we looking at sponsored franchises – the Kentucky Fried Chicken Eleven? The expression of interest period is underway. There are going to be information roadshows in Leeds, Loughborough, Bristol and London for anyone who is thinking of expressing an interest. I wonder if I can sneak into the Loughborough one? It’s a tight turn around. The deadline for the expression of interest is Monday 3 August 2015. Invitation to tender will then be from Friday 7th August to Monday 28 September. If there’s anyone Midlands-based who is considering expressing an interest, I’d love to be involved.